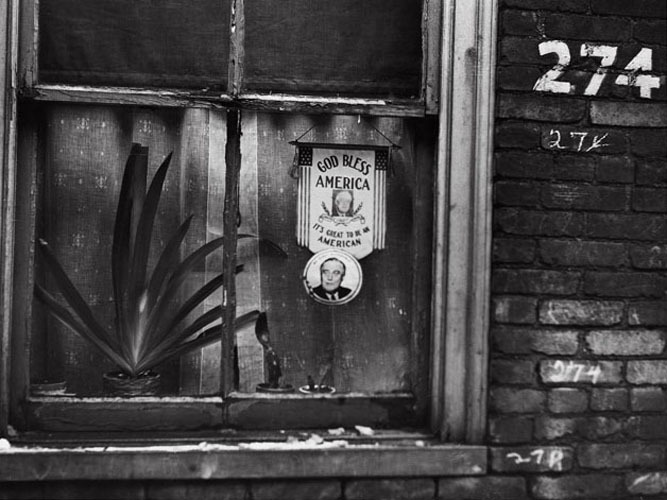 Window in home of an unemployed steelworker. Ambridge, January 1941. John Vachon.